On June 1, we traveled to the Livermore Valley. Our excuse was that we needed to pick up six bottles of Steven Kent Cabernet Sauvignon. Those nice folks donated the six bottles to support the Economics Club at California State University, East Bay. I’ll write about the event in a separate article. But I do want to thank the Steven Kent Winery for their kind donation. Special thanks to Tracey Hoff who arranged all of this. 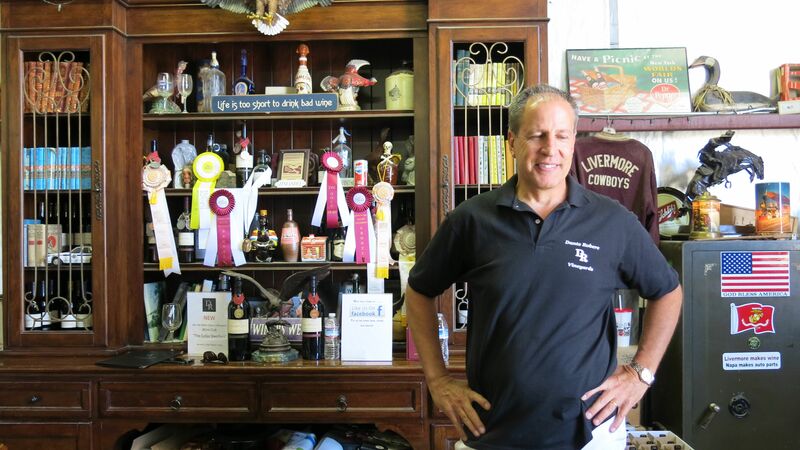 Steven Kent remains the premier winery in the valley. The winery is now part of the Steven Kent Portfolio. Besides the Steven Kent label, the Portfolio also includes Lineage (Bordeaux-style blends) and La Rochelle Winery (pinot noir and chardonnay). We reviewed a La Rochelle wine in part 2 of our review of the May 17 Santa Lucia Highlands gala. But here we want to look at the cabernet sauvignon. Steven Kent Livermore Valley cabernet sauvignon 2011 ($48) is a blend of grapes from the valley. The wine is blend of 88% Cabernet Sauvignon (from the Home Ranch and Ghielmetti Estate Vineyard), 5% Petit Verdot, 5% Merlot and 2% Cabernet Franc (Ghielmetti Estate Vineyard). Intense aromas are presented with elegance. The palate is lush with notes of intense black cherry. A bit of herb leads to a marvelous long finish with a hint of chocolate. If a wine priced at just under $50 can be called a bargain, this is it. At worst, it’s a great value. Steven Kent Mirassou is the entrepreneur behind this operation. He’s a genius. That’s the only word that works. Steve may be in for some competition. We tasted wines from Dante Robere Vineyards and immediately signed up for their wine club. This puts them in pretty elite company including Steven Kent, Hartford Family, and Jack Creek Cellars. 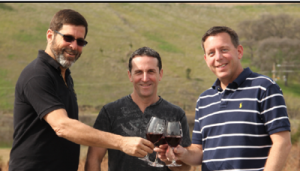 Dan Rosenberg (Farmer’s Insurance agent) and Bob Bossi (former accountant) clearly had all the skills necessary to start a winery. Just kidding, there’s no particular reason to believe they would be successful at winemaking — except for their obvious passion for the field. The winery is very new, with their first release in 2012. Before that, Dan and Bob made zinfandel at home and volunteered at several Livermore Valley wineries. You can take all the classes you want, but nothing beats on-the-job training in this industry! The name Dante Robere is a fanciful interpretation of Dan and Robert (the partners). Their best wine is a GSM blend under the label “Dante’s Inferno” ($31). With 46% syrah, 31% grenache, and 23% mourvedre, this wine is the equal of any GSM we’ve tasted in the past few years — including the infamous Pellerin – Tablas Creek comparison at Artisan Wine Depot a month or two ago. Blueberry, strawberry, hints of coffee and smoke, light lavender, and mild spice characterize this blend. We rate this wine our find of the trip and a bargain, too. Their syrah Livermore Valley 2012 ($34) opens with aromas of black cherries and caramel, leaving us wondering how they managed that trick. The palate is the traditional syrah spice is paired with red cherries and soft tannins. The finish is all right, but not very long or complex. See our comparison with the RN Estate syrah posted May 16. A red blend with the colorful name “Two Cellar Rats” ($25) is a little bit of everything: 34% carignane, 31% syrah, 13% petite sirah, 10% cab, 9% zin, 3% barbera. Floral aromas followed by cherry, black cherry, and spice on the palate. If I remember correctly, the two cellar rats that loaned their name to this wine are two sons of the owners. Dante Robere’s 2012 Tracy Hills Touriga ($25) features aromas of violets, blueberries, and a hint of lavender. Flavors of cherry and raspberry with a hint of cedar round out this respectable selection. Their 2012 syrah rosé ($15) just barely qualifies as a rose. We would describe it as a light syrah, with hints of raspberries and rhubarb. This, too, is a real bargain. A 2012 Sblendorio Vineyard Livermore Valley chardonnay ($22) opens with smoke and cedar, followed by spice and butterscotch. Finally, Dante Robere’s 2012 sauvignon blanc ($17) features lime, lemon, and green apple with a wet slate mid-palate. Our guess is that this is blended with a hint of something, perhaps viognier. 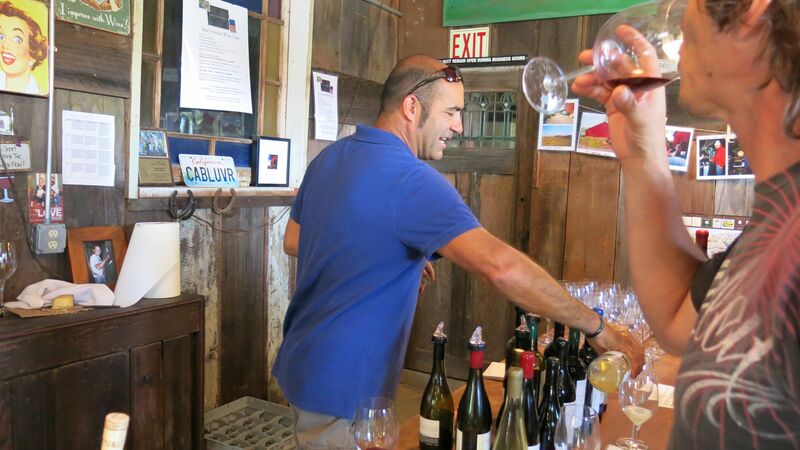 Dante Robere’s tasting room is currently being hosted by Eagle Ridge Vineyards, also producing pretty good wines. We especially liked their 2012 pinot grigio ($21) which is light and refreshing. Since one of my long-term interests is the effect of medals won at tasting competitions on wine sales, I have to add that this wine won a gold at the prestigious San Francisco International Wine Competition. My research shows this competition is the single best of the nine tasting competitions I studied. Eagle Ridge also scored with their 2010 estate zinfandel ($29). This is pretty yummy, with a nice mouth feel and good tannin-spice balance. 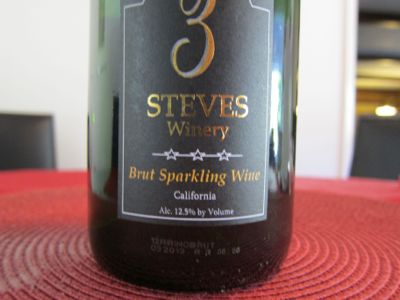 Another newcomer is 3Steves Winery. 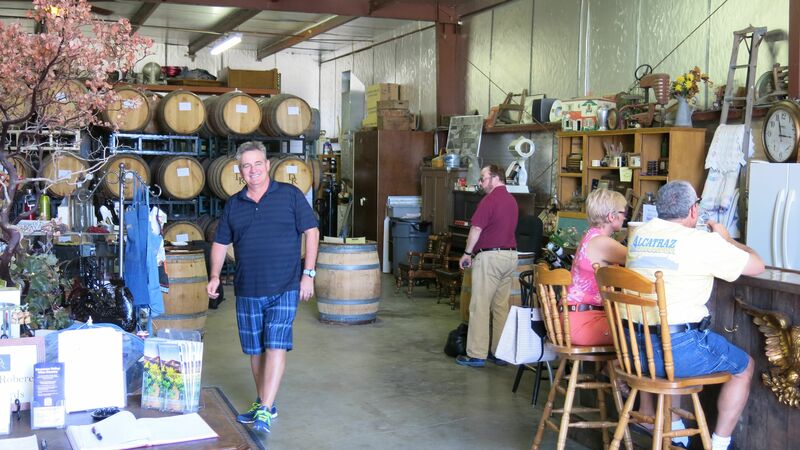 Located next to McGrail Vineyards, it is owned by three guys named Steve. There is, apparently, a fourth Steve loosely affiliated with their venture. These folks got their license in 2010. 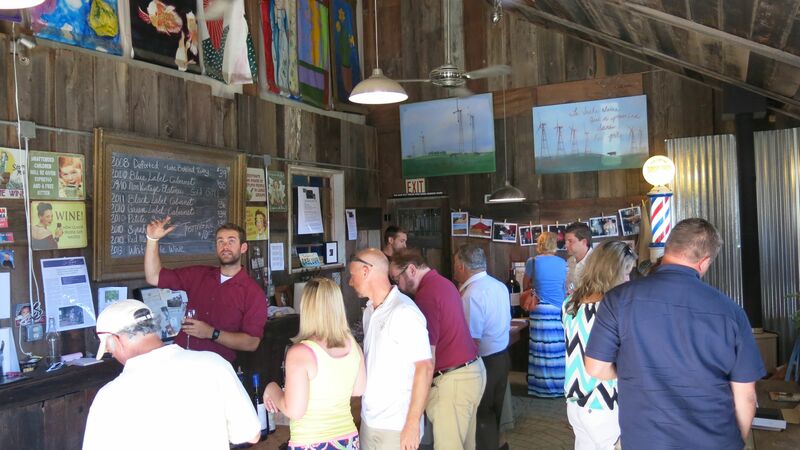 The winery has only been open since July, 2013. We especially liked their brut sparkler ($25). This is a methode champenoise wine that is perfect for warm summer evenings. But the wines to watch for from 3Steves are the 2012 cabernet sauvignons. One of the Steves was nice enough to let us taste these and they are very nice. The grapes are sourced from two vineyards in Livermore. 3Steves owns part of one vineyard. The other belongs to a neighbor. Both are located on Crane Ridge which is the same ridge where the winery sits, at the top of Greenville Road. When they sat down to do the final blends, all the wines were incredible on their own and even better when added to the cabs. The Steves blend in some petit verdot to add a better finish and sometimes add merlot to enhance the mid palate. Both cab vineyards were very different in flavor and mouth feel, and they just felt it would be a waste to make one cab blend from so much great wine. So they decided to make two small lot cabs rather than just one larger lot of cab. We look forward to acquiring some of these wines on our next trip to the valley. Brett Caires, a self-made realtor, chef, and winemaker, hails from the stock of wine connoisseurs. BoaVentura Baptiste de Caires, Brett’s grandfather and the winery’s namesake, handed down a passion for relishing good wine. Brett recalls family meals with his Oakland, California-based grandparents, where wine was always a staple at the dinner table: “The table was set with glasses of wine, port, and milk.” To boot, according to family legend, Brett’s great grandfather, Antonio Caires, was deported during Prohibition for winemaking after he brought his family to America. A devotion to his family heritage was a natural inspiration for Brett to cultivate his own knowledge of winemaking. The BoaVentura wines are true to their Portuguese heritage. (Disclaimer: Tony’s heritage is 50 percent Portuguese.) Many tend toward the tart end of the spectrum which is not where our taste buds thrive. We did, however, enjoy their 2010 Nelson Vineyard syrah ($32) was very good with bold fruit flavors, hints of smoke, and a great mouth feel. Moderate tannins complement the traditional syrah spice and are followed by a lingering finish. BoaVentura is doing some interesting work with cabernet sauvignon. Vineyards are located in front of and behind the old barn that houses the winery and tasting room. (The barn features a patched galvanized roof, adding to its charm.) The vineyard in front of the barn is rocky and shady, while the one in the rear is sunny. Mr. Caires has experimented with different blends of the front and rear vineyards. Let’s see if we can summarize the various labels (denoted by colors). Maroon (2008, sold out): 100% from front vineyard. Black (2011, $36): 50% from each. Green (2010, $34): 100 percent rear. We tasted the green, black, and blue label. It was quite an educational experience. The green label has traditional cabernet aromas and flavors. A dense bing cherry palate is followed by a hint of wet wood. The black label features a touch of green pepper aroma followed by a traditional cabernet palate, very similar to the blue label. The blue label was aged 30 months in French oak. It needs a few years to develop properly. Right now it features black raspberries with a mushroomy finish and enough oak and tannins to age properly. 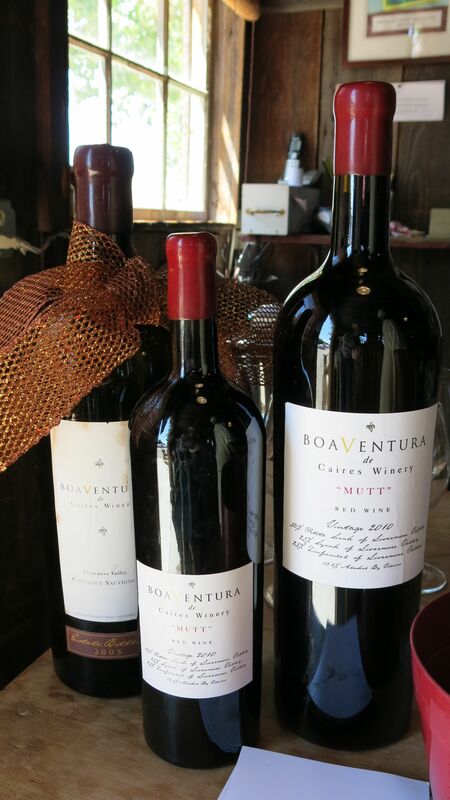 We would be remiss if we didn’t mention BoaVentura’s red blend, “MUTT” ($24). The 2010 version is 46% syrah, 30% petite sirah, 15% cabernet sauvignon and 9% zinfandel. A tart cherry palate leads to an even more tart finish. Not to our taste, but your taste is probably different. And to think that we just went over to pick up wine at Steven Kent! New discoveries that run the gamut from fun to wonderful with several stops in between. We’re looking forward to our fall shipment as members of the Dante Robere wine club.